Warship Vas was supposed to be the epitome of Swedish military power, but instead sank during its maiden voyage at the exit of the Stockholm harbor, August 10, 1628. 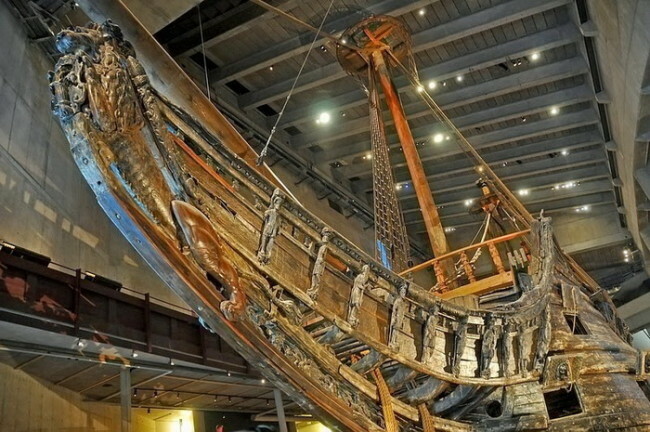 Now restored ship on display in a specially designed museum, the world’s only surviving sailing ship of the early 17th century. Another time we wrote about the Top 10 World’s Largest Ships. 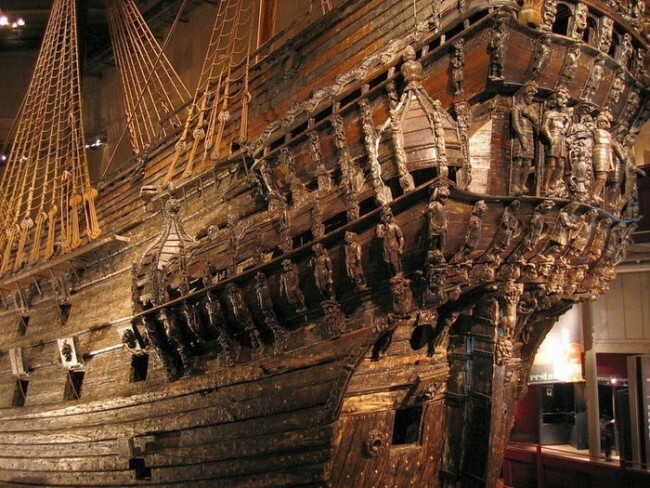 «Vasa» was supposed to be the flagship of the Royal Swedish Navy, 69-meter vessel was found 64 guns. 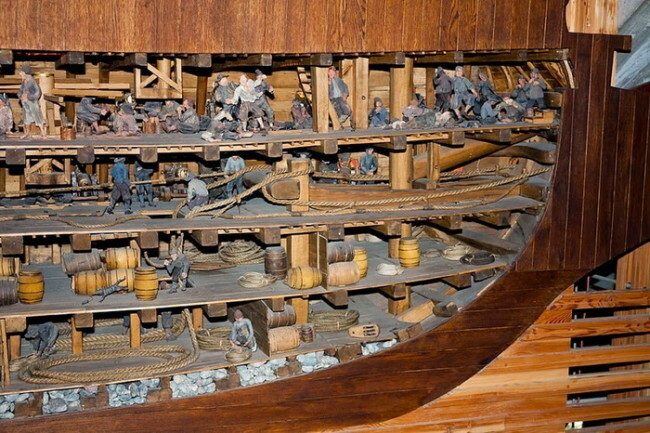 The project made 400 shipbuilders for the construction were cut over a thousand strong oaks. After the crash, which occurred at 1300 meters from the bay, in the following years the ship were collected bronze cannons, and the skeleton lay in the shallows until 1961. 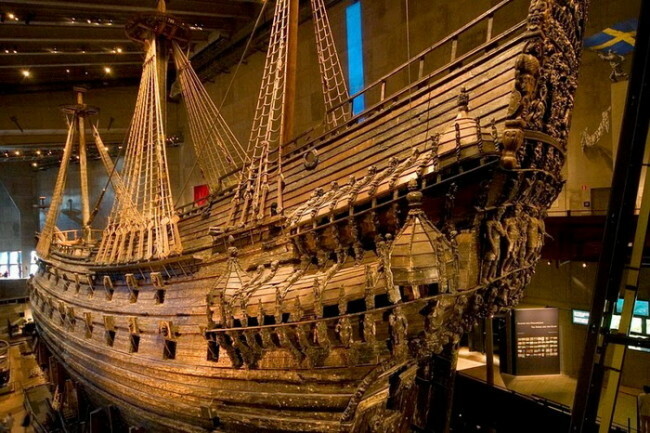 Now the ship «Vasa» is in the eponymous museum in Stockholm, about a million tourists every year come to look at this historic landmark. 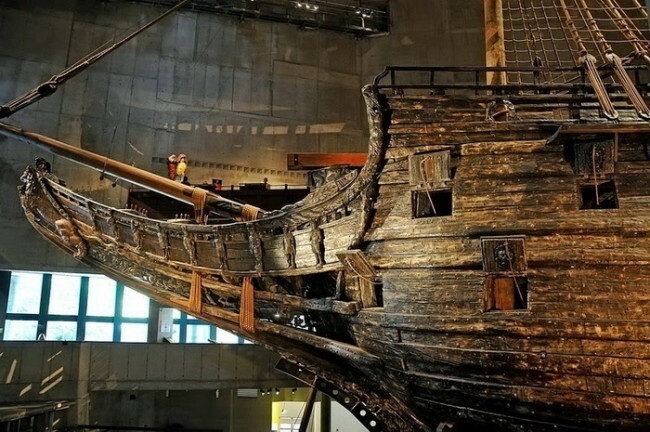 The ship was wrecked due to the fact that the underwater part was too small for it a few months before you place your boat in the water indicated the vice-admiral, but King Gustav II Adolf so wanted to see «Vasa» on the go, that he neglected comments and not postponed first flight. As a result, in a shipwreck killed 50 to 400 people. 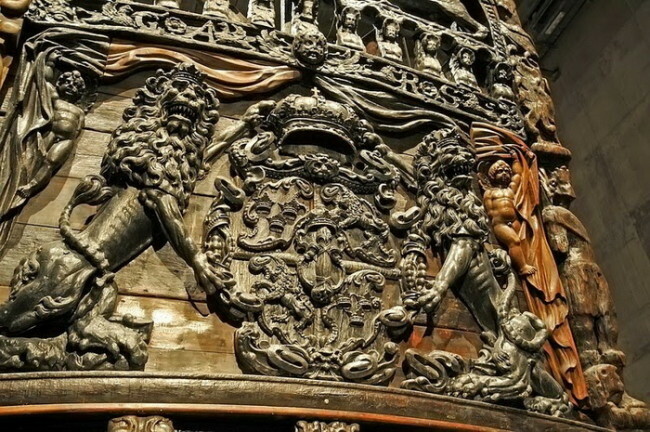 «Vasa» – important monuments testifying to the power of the Swedish armada in the 17th century. Despite the fact that the ship trying to save from destruction, they are inevitable. Thus, over 333 years it lay in bay waters toxic when lifting surface immediately starts the mechanism of interaction of the acidic compounds with oxygen, which leads to erosion of the wood. The ship was treated with a special neutralizing solution. Were replaced rusting bolts have been replaced with galvanized and coated with resin.